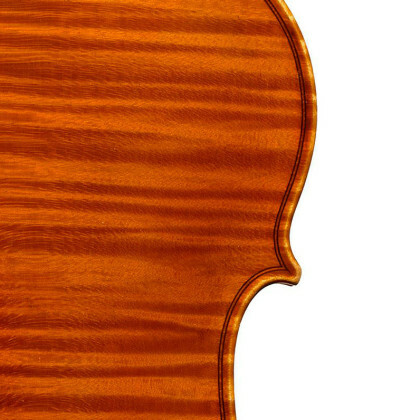 Probably the most renowned of Giuseppe Fiorini's students, Ansaldo Poggi owed his introduction to his teacher to the friendship between Fiorini and Poggi's father, an amateur violin maker. After learning the basics at home, Poggi moved to Zurich to train with Fiorini around 1920, returning to Bologna in the late 1920s. His first ...Read More known label is dated 1928. The impact of Fiorini's style is especially evident in Poggi's first independent work. Rather than following the construction method used by Bolognese school founder Raffaele Fiorini whereby the external form is the basis, Poggi adopted his teacher Giuseppe Fiorini's classical approach, which uses the internal form. This use of classical techniques sets Poggi apart from other Emilian makers of the period, even those who also employed classical models. - The auction record for this maker is $228,000 in Mar 2019, for a violin.